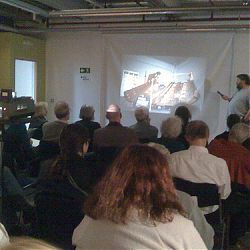 On Monday night Dr Damien Goodburn, the Ancient Woodwork Specialist for the MOL, gave a fascinating talk at LAARC, organised by the TDP. 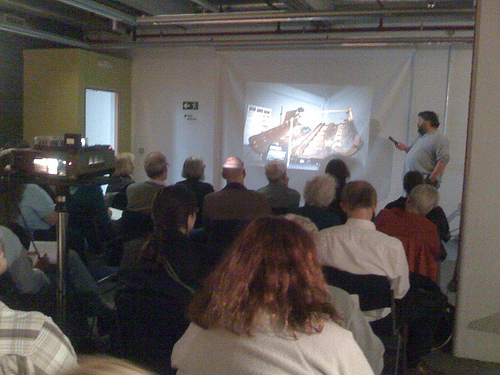 The talk entitled “Dirty Nails and what you can learn from them” was actually about ship and boat fastenings. Riveting stuff you might say! But seriously, it was an ideal subject for enthusiastic foreshore archaeologists. By both lecture and hands-on experience of original and replica boat sections, we covered all forms from prehistoric yew lashing of planks, right up to recent non-ferrous rivets. On the basis of this talk I would encourage all FROGS and “FROGS in Waiting” to attend future events.